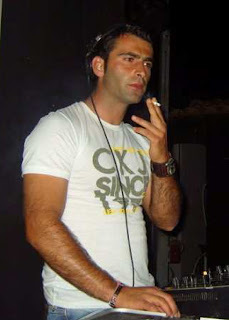 Paride Fusco, Pride Selector in art, was born in Teano (CE) ITALY November 10, 1981. Age of seven he began studying music sneaking with the sax and piano. After a year he decided to approach the world of dj working at a local radio station with programming of various kinds of music: Underground / Jazz / Funky. In 1995 begin collaborations with various nightclubs in southern Italy where he performed in experimental sets that match the console percussionists and saxophonists with great success in the most elegant and refined. In 1998 he founded the "Kubla" that will give life to dance productions. Over the years, the influence received from one of the most important jazz festivals in Italy, TEANO JAZZ of which Paride is one of the organizers, leads the latter to devote themselves to the search for new sounds of jazz and soul to match with deep rhythms and soulful. This gives rise to musical productions meaning "deep". Music is not simply generated with digital tools but rather "played", "felt" in the soul. Since 2012 Pride_selector is engaged with a dj set in collaboration with two radio stations of major importance: Radio Capri and Radio YACHT, the latter is a web radio.